Just hearing the name Rolls-Royce generates mental images of wealth and luxury. Open your eyes and the stainless steel grill and sheer size do nothing but uphold that image. Comparing an item to a Rolls-Royce is a cliché used to describe something that is the best of the best, and this is exactly what these vehicles are. The 2012 Rolls-Royce Phantom Base and 2012 Rolls-Royce Phantom Extended Wheelbase are paragons of the quality and prestige of a company that has spent 107 years building luxury vehicles. Even those that have no interest in vehicles at all easily recognize a Rolls-Royce. That alone states the impact the brand has made. The exterior finishing of the 2012 Rolls-Royce Phantom starts with its base color, which is then hand-sanded for over 5 hours before the clear coat is applied. This assures nothing short of a mirror-like luxurious finish. Pinstripe accents, painted by hand, are available upon request. 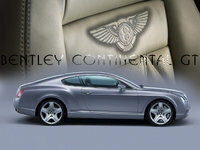 The biggest change for 2012 is the introduction of an 8-speed automatic transmission designed to improve fuel economy. 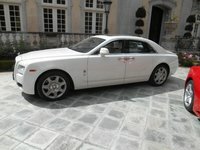 The 2012 Rolls-Royce Phantom Extended Wheelbase offers an additional 250mm of legroom in the rear passenger area. The 2012 Rolls-Royce Phantom silently comes to life with a 6.75-liter V12 engine. This powerful engine can launch the vehicle from 0 to 60 mph in 5.7 seconds and features a governed top speed of 149 mph. The 2012 Rolls-Royce Phantom has a unique transmission that always starts the vehicle in second gear from a stop, assuring smooth take-offs every time. Of course, there is a trade-off for the power of these vehicles, and that is fuel economy. With an EPA-estimated 11 mpg city/18 highway, these vehicles are easy on the eyes, but not so easy on the wallet. But of course if you're privileged enough to own a Rolls-Royce, fuel economy is not one of your major concerns. A ride in the 2012 Rolls-Royce Phantom is more like cruising in a boat on calm water than being in an almost-3-ton vehicle. It features 4-corner auto-leveling with a double-wishbone front and multi-link rear suspension with front and rear anti-roll bars. The air-loaded front springs and gas-pressured rear springs and shocks, as well as automatic ride control, also contribute to the smooth, comfortable ride these vehicles provide. The 2012 Rolls-Royce Phantom reads the road and adapts to any road conditions it encounters, making the ride smooth no matter how rough the road is. It comes standard with 21-inch silver aluminum wheels and all-season run-flat 255/50/21 front tires and 285/45/21 rear tires. The interior of the 2012 Rolls-Royce Phantom is handcrafted, the woodwork alone requiring 18 days to finish. The leather interior requires more than 15 complete hides. New for 2012 is an 8.8-inch widescreen display as well as an iDrive controller, which give you fingertip access to the upgraded satellite navigation system with a 3D display, as well as your choice of 8 other frequently used features. Bespoke customization, a British term that means the buyer can customize the vehicle to his or her exact specifications, is also available. Safety in the 2012 Rolls-Royce Phantom is as important as elegance and luxury are. Four-wheel ABS and driveline traction control, as well as vented 4-wheel disc brakes provide stopping power for these large vehicles with safety and ease. Both are also equipped with front, rear and top-view cameras. The vehicles are also equipped with driver and passenger airbags and side impact airbags, as well as curtain front and rear passenger overhead airbags. Owners of the 2012 Rolls-Royce Phantom rate it as the best Phantom ever produced. They consider it superior in innovation and luxury that are beyond reproach, both inside and outside. 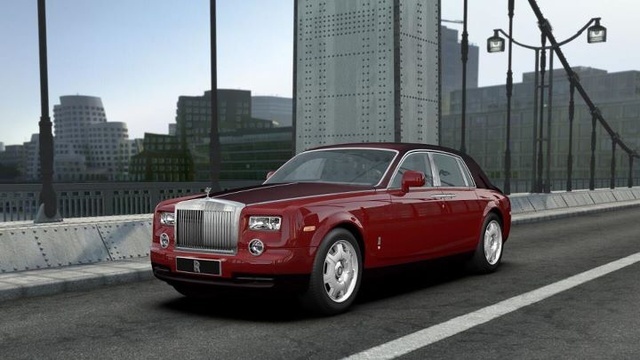 What's your take on the 2012 Rolls-Royce Phantom? 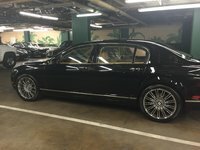 Have you driven a 2012 Rolls-Royce Phantom?